Robert Wyatt was originally the drummer and vocalist of SOFT MACHINE, then he made two albums in 1972 with his band MATCHING MOLE (wordplay from 'machine molle', soft machine in French!). Before launching his proper solo career he fell from a window and has been using a wheelchair ever since. This accident naturally shaped his music: he had to give up drumming and instead started to use more vocals and keyboards, and his music became more minimalistic, compared to his earlier groups. Also, as the touring was not possible, he felt free to use various musicians guesting on his albums. That shows here too. You see names like Oldfield, Eno, Manzanera, Nick Mason - and Scottish poet Ivor Cutler. This compilation (first released in Japan; my copy had liner notes in Japanese) is a good summarization of Wyatt's solo output. Most of the albums are represented by two tracks, some by three. From Rock Bottom (1974): 'Sea Song' and 'Little Red Robin Hood Hit the Road' (the latter with Cutler's funny poem-reading); fromNothing Can Stop Us: lovely cover tunes, 'Shipbuilding' (originally by Elvis Costello), late night jazz ballad 'Memories Of You' and the dreamy, lazy 'At Last I Am Free' which still is one of my favourite Robert Wyatt numbers. His albums of this Millennium are also included. 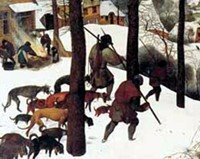 The running order is non-chronological. Naturally one can argue if this 17-track set can really do justice to his many-sided and long-time output, but as a single disc compilation this succeeds as well as one can wish. 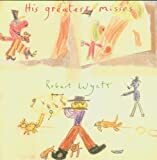 Wyatt is not, and has never been, a musician who has certain "greatest hits" (hence the funny title), but this song list manages to include many songs that are among my favourites. If you think you can manage with just one Robert Wyatt CD, let it be this. But if you already are a connoisseur, this is quite unnecessary. 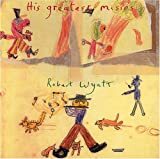 Post a review of ROBERT WYATT "His Greatest Misses"